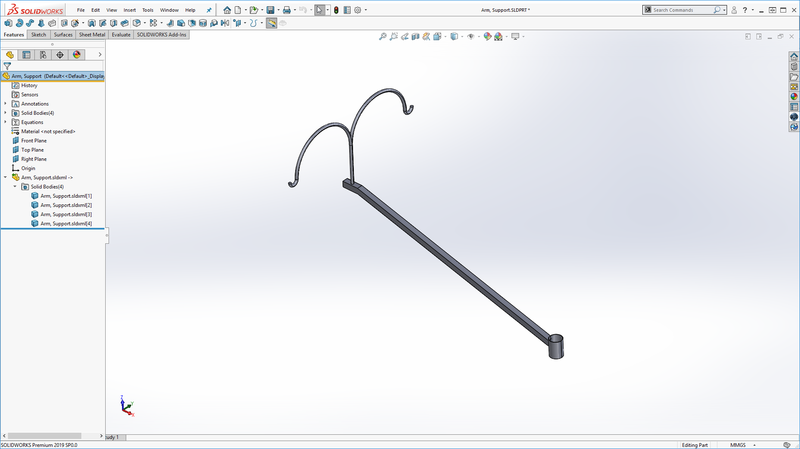 Welcome back to this multi-part blog series featuring Mike Sabocheck and his efforts to outsmart his local squirrels using SOLIDWORKS xDesign. If you need to catch up, please read the part 1 and part 2 first. In the last blog the original design I came up with needed to be changed based on my wife Tracy’s input. She wanted the feeder support arms to rotate independently from one another and not have them stationary. Plus, she wanted the ability to add a fourth arm if she wanted. So, the new design will be a variant of the original. In xDesign a “revision” can be branched off the original design so changes can be made without effecting the original. The original design is always available if I need to go back and start a third variant design, if needed. I can also save a revision of a branch and go from there too. This is very cool functionality because I don’t have to manage these variant designs myself. xDesign takes care of that for me. xDesign changes the way you approach designing with CAD. We are all used to using individual modeling environments for parts and assemblies. In xDesign all of the design work is done in the “single modeling environment.” This method of designing reduces CAD overhead in the concept stages and gives the designer freedom and flexibility to design without considering assembly structure and whether to model a component or an assembly. Once design intent is captured components can be created from selected features, thus creating an assembly. Additional components are created in the same fashion. The purpose of xDesign is to capture a design idea quickly, and then hand it over to SOLIDWORKS and finish the design for manufacturability. The bird feeder design started out as a multi-body design comprised of several features as shown below. By using the “Make Component” command, several features can be selected to create a component and keep them in the single modeling environment. The features that made up the support arm are now included in the Arm, Support component. Adding the additional arms was easily accomplished. Simply insert components and mate them into place. Now, each support arm rotates independently and can be positioned as desired. Tracy gave her thumbs up on this design. Next step in the process is to create a drawing to use for fabricating the support arms in the shop. 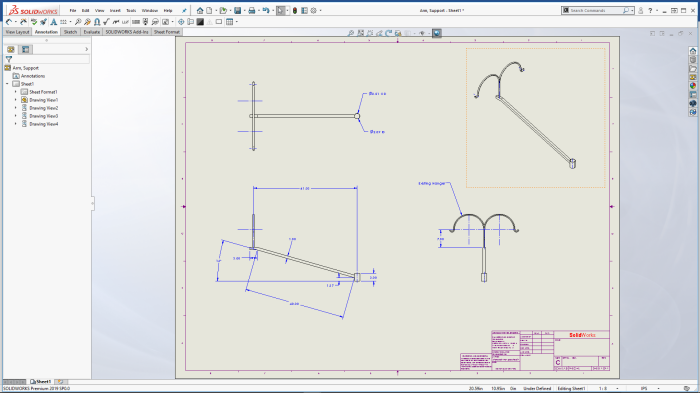 First, I’ll save the design to SLDXML and use that to open the Support Arm in SOLIDWORKS as seen here. With a drawing in hand I’ll visit the local metal salvage yard and pick up the needed raw materials to start fabricating the arms and the rest of the stand. Squirrels you’ve met your match!